Effects: energising, disinfectant, aphrodisiac, deodorizing, warming up, stimulates hair growth, stimulates the immune system. 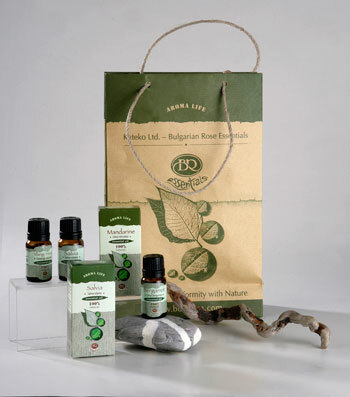 Benefits: The clary sage essential oil is an essential oil panacea. It enhances mental and physical performance, activates brain function; helps with stress disorders such as panic attacks, paranoia and general weakness. The clary sage essential oil contains natural phytoestrogens; suitable for women to restore their normal menstruation; during menopause periods it relieves the sudden rush of hot flashes, perspiration, calms the nerves; used for skin inflammation, slows down skin aging, reduces hair loss and stimulates the hair growth; strengthens the immune system. Blends well with juniper, lavender, pine, geranium, sandalwood, jasmine and all citrus essential oils. Attention: Contraindicated in hypertension and children. Do not use before bedtime! The combination of this essential oil with alcohol consumption is not desirable!